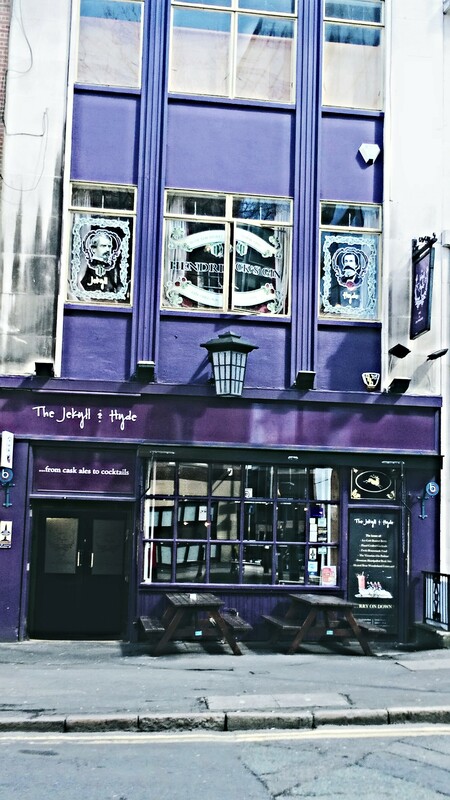 The Jekyll and Hyde is a Victorian styled bar and gin parlour that’s split into two sections with two contrasting themes. The ground floor emporium is the boozy, broody domain of Mr. Hyde while ascending to the first floor brings one into the elegant gin parlour of Dr. Jekyll. 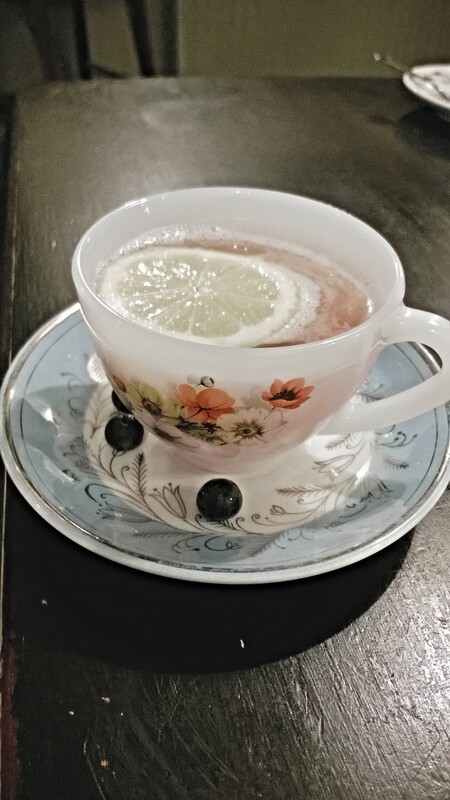 A hen-party event was underway in Dr. Jekyll’s Gin Parlour and so I drank my blueberry thrill gin cocktail as Mr. Hyde. 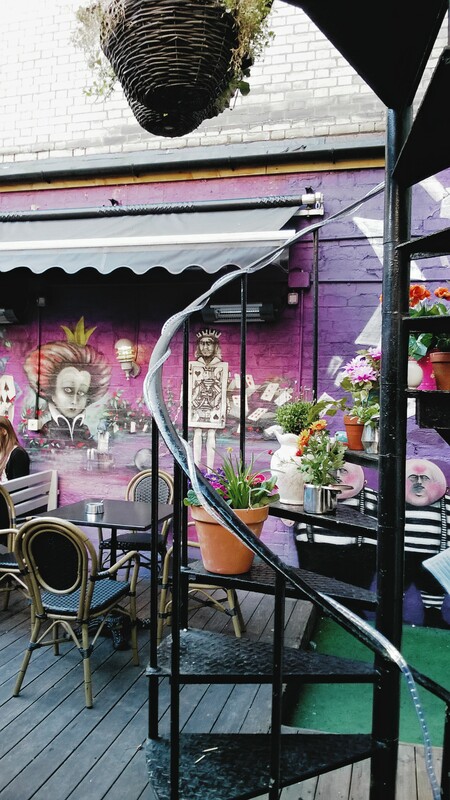 To the rear of Mr. Hyde’s bar is The Wonderland Courtyard – a beer garden decorated with imagery from Alice in Wonderland. 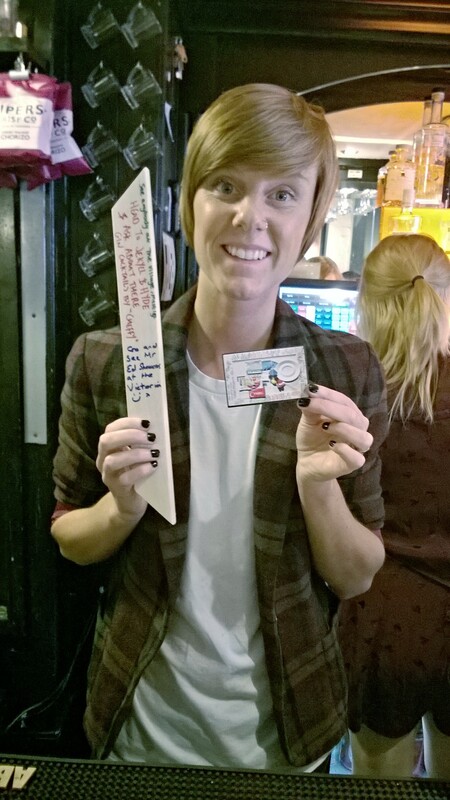 I explained my project to Leanne who then telephoned and explained about it to her manager, “Cheffy”. For the montage, I was given a small glass mug used for measuring out gin samples and Leanne sent me to say hello to Ed at The Victoria.